New Apple releases always interest me. Today, Apple announced OS X Mountain Lion (10.8), and made a preview release available to developers. iMessage. Now you can send messages for free from your desktop to any Apple device that supports iMessage. Twitter is also more integrated with the OS, as Apple is bringing over features from iOS 5. Sharing. Mountain Lion will make it easy to share photos and other media with a click of the button, whether it is over Airdrop, Flickr, or Twitter. Notification Center. This one intrigued me. Apple is going to bring the notification center from iOS 5 to the desktop. Apparently a two-fingered swipe on the right side of the trackpad will bring up the Notification Center. It will be interesting to see how often I will actually use it. Reminders and Notes. These two popular iOS apps are also being added to the desktop OS. Thanks to iCloud, they'll also be synced across all your devices. Game Center. Another popular iOS app brought to the desktop. Gatekeeper. This one also was an interesting features. Gatekeeper is a way for Apple to lock down security on your Mac. It basically has three levels of security. You can set your Mac to be completely locked down, which means only applications from the Mac App Store can be installed. You can go up to the second level, which allows install software that isn't from the Mac App Store, but is signed by Apple. A very interesting feature that is pushing people towards the Mac App Store. Luckily, for geeks like me, you can still install any software you want, if you choose. Airplay Mirroring for Mac. This one's been a long time coming. Since the release of iOS 5, you can mirror your iPad 2 or iPhone 4S on an Apple TV. Now it is being brought to the Mac. This is really big, because it cuts the cord for hooking up your Mac to a TV. Now there is no cord, it just works. I think that this is going to be a very interesting release and am looking forward to seeing what happens with it. I find it intriguing that this release cycle will be very short, maybe as short as 12 months. Snow Leopard was released in August 2009. Lion was released in July 2011. That's a 23 month release cycle. Going back further, Leopard to Snow Leopard was 19 months, Tiger to Leopard was 19 months...you get the point. 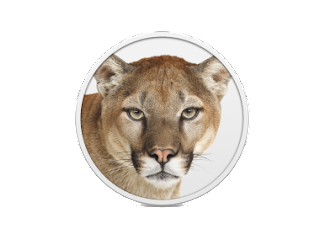 Do you have any thoughts about Mountain Lion? Please let me know by leaving a comment.